VAS has a way of making mobile subscribers use their mobiles frequently and this frequent use is what helps Telecom operators amass a large revenue from their delivery. It will amaze you to know that these mobile value added services are becoming even more popular than their PC counterparts. 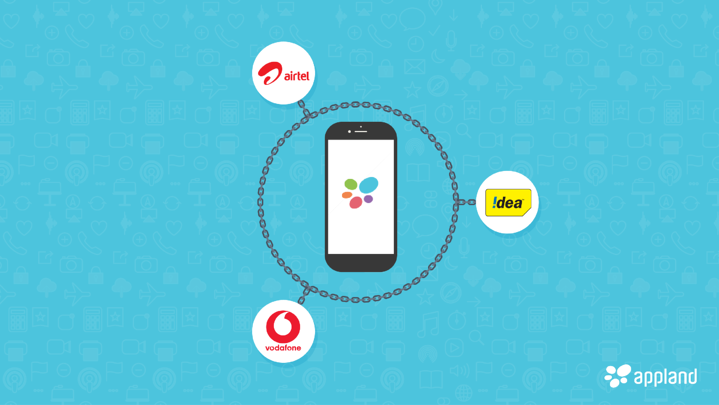 This blog is going to be highlighting some of the most popular value added services provided by Telecom operators like Vodafone, Airtel and Idea. A comprehensive and highly competitive telecom operator like Vodafone is certainly not letting up in the area of value added services. Unlike others, most of the value added services they offer are highly beneficial to both corporate bodies and individuals. Toll Free Lines – The lifeblood of any business is the constant interaction between customers and the organization. Potential customers may want to find relevant information about your business, but they may not be willing to pay the price by using their own airtime. Eventually, the business will have to be the one to provide the platform for that information exchange because it primarily stands to gain and not the potential customers themselves. With this service, your customers don’t need to pay a dime while trying to contact you for information. Missed Call Information – Usually, you only get information about your missed calls when your phone is on. Now you have the power to change that by subscribing to Vodafone’s missed call information. This way you can find out who tried calling you when your phone was off. A very useful service for anyone who wants to stay off the radar but at the same time monitor those who are trying to reach them. M-Pesa TM – This is a payment solution used primarily in India. This value added service has been described as a lifesaver by many. It allows for subscribers to deposit and transfer money with their mobile phones. They even have stand-points where these subscribers can withdraw money from. This service has been highly loved by especially businessmen because it eliminates some of the challenges they face in running their business. Speech Recognition Service – This is one of the recent services provided by Airtel to simplify the subscription of VAS services on mobiles. How this works is that the mobile subscriber uses voice commands to activate certain services on their phone by simply calling a number and asking for the service. Isn't that leagues ahead of sending specifically worded messages to a number? M-ticketing – This is certainly one value added service that has made Airtel very interesting in a place like India. Mobile subscribers can actually use this service to make payment for any kinds of tickets. After the subscriber makes the payment, a notification will be sent to their phone via SMS, containing a unique reference number. It is, with this reference number, that they will be able to obtain the actual ticket. Airtel Money – This is a mobile payment service exclusive to Airtel subscribers in India. The banks involved in this project are working closely with Airtel to make bank transactions easier for customers. Currently, this is one of the fastest ways to send or receive cash in India. Music on demand – This is a special service that allows users to have access to Idea Music, enabling them to download and listen to the latest Bollywood and regional music. International Roaming – This service allows users to roam 12 countries, that are mostly visited by Indians, and get a certain discount on their bill. This service is exclusive to postpaid subscribers. Even though every single one of us has used multiple Value Added Services it is impossible to be totally satisfied with any single service provider. There are so many options out there so do keep your eyes peeled and let me know in the comments below if you've come across some phenomenal VAS!